Hey there NY Yankees fans! 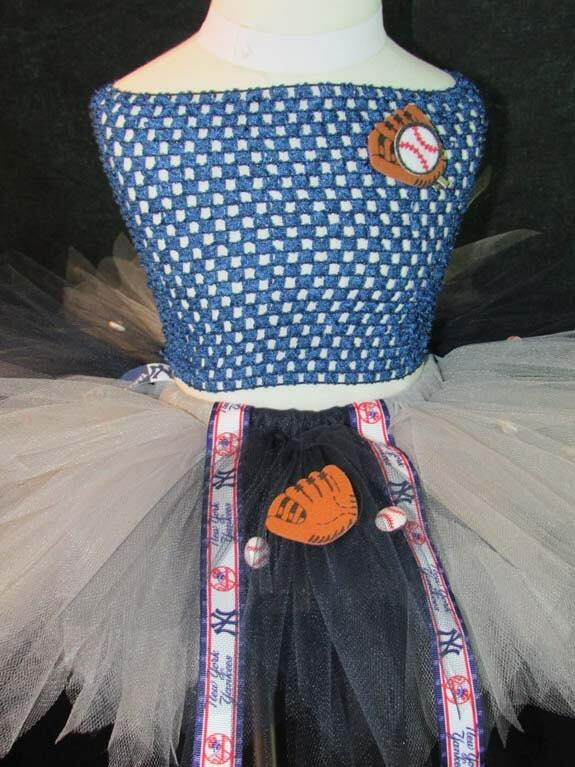 We have created this skirt with embellishments reflecting the MLB New York Yankees team. 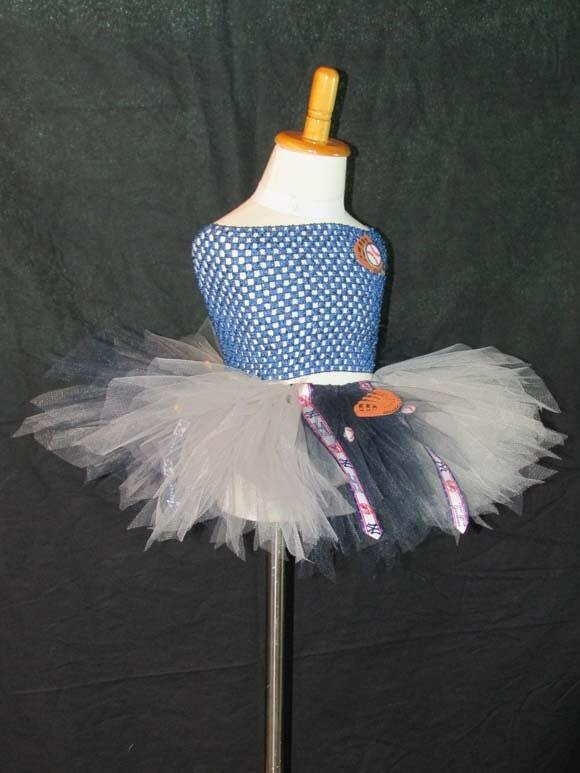 This tutu can be created in a variety of both size and length! 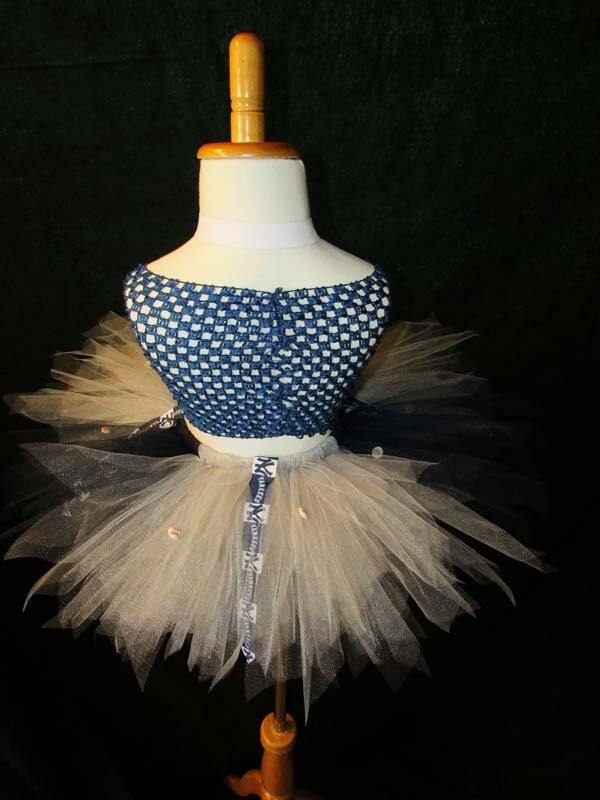 For the best fit send us your measurements so we may create an exceptional tutu with your specifications in mind. 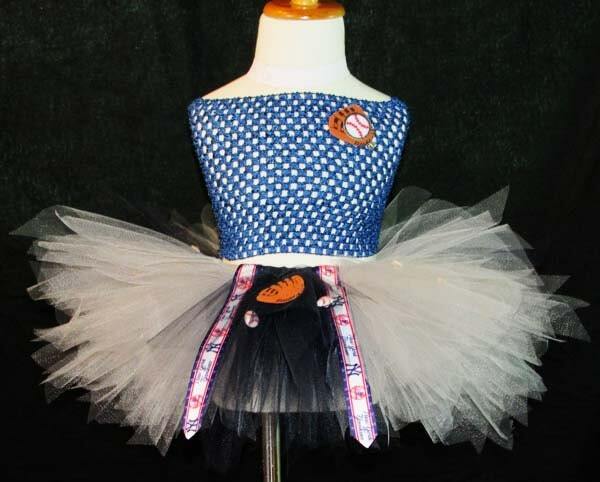 Stay tuned for our NY Yankees tutu with alternate Charm embellishments. As a Small Family business and online seller for more than a decade we show our support for other great sellers happily and encourage you to join in! 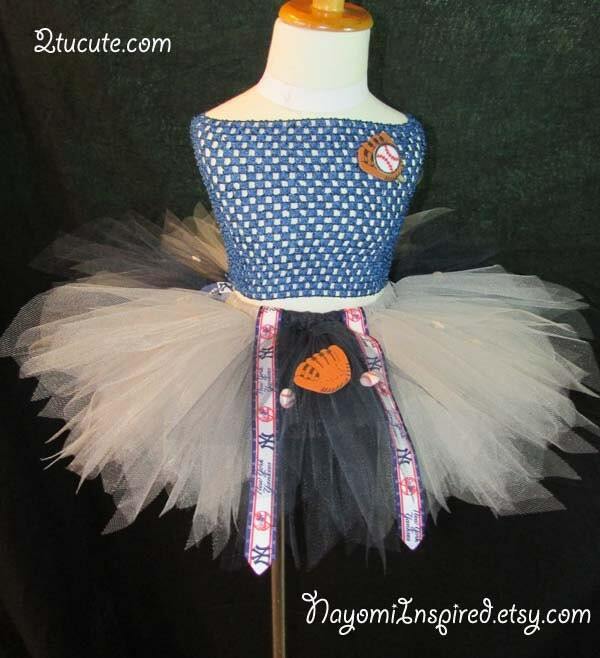 If you like the themed ribbon please visit a great seller right here on Etsy, she has a wide offering of ribbon and more available; mikkijojo; just type her store name in and have fun shopping! This can a be created on a crochet top (up to 20 inch waist/chest) as a dress, elastic band in both skirt or dress form, and crochet band if you prefer. On a special note, we do not skimp on tulle, the more we can use the happier we are!